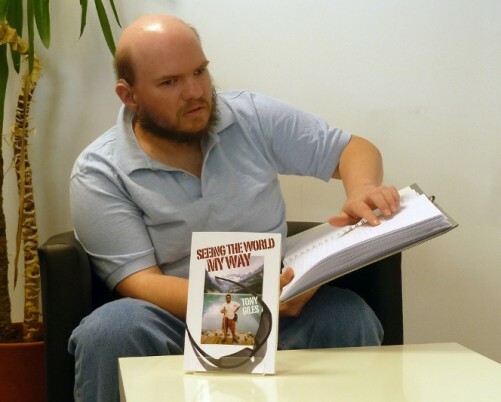 Tony at his publishers, SilverWood Books, holding the braille edition of his first book Seeing The World My Way. I am a young person, totally blind and 80% deaf in both ears without my hearing aids. I also had a successful kidney transplant in December 2008. I’ve been travelling since the age of 19 and began writing about my journeys in 2005. 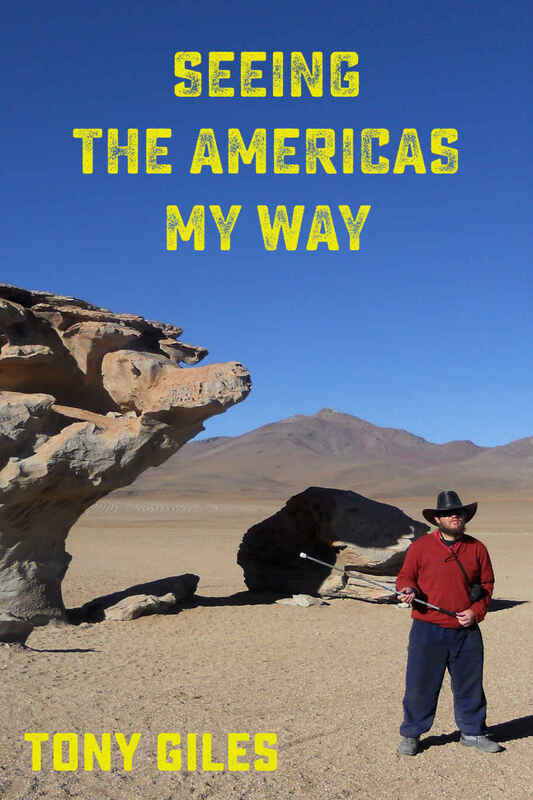 My first, in a trilogy of travel biographies, was published October 2010. A second part, an ebook, followed in 2016. The third instalment, wanderings around Africa, will come next. I also had an article published in Sense Magazine, a publication that caters to blind-deaf individuals, in 2013. Tony’s second fascinating travel biography offers a more sensory observation of backpacking. From the sounds, smells and cuisine of Brazil and Argentina to the rhythm of salsa in Cuba. Mexico, Chile and Uruguay are also briefly explored. Whilst there are the usual adrenaline fuelled activities associated with this author in the United States and Canada, the main thread of the story deals with a personal challenge of compromising between love and friendship. It is a journey of self-discovery with a focus on spartan nature and isolation as a guidance to help the author resolve his emotional problems. 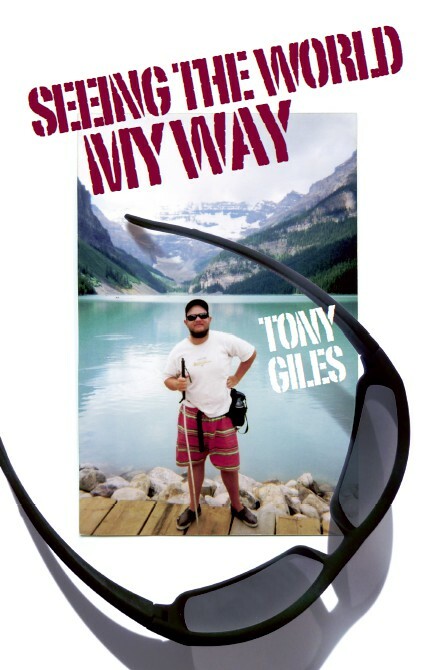 Continue following Tony’s unique wanderings to discover where he will lead you! Available from a number of sites, including Amazon (Kindle), Apple, Kobo and Google Play. From bungee jumping in New Zealand to booze filled nights out in New Orleans, Seeing the World My Way is a no-holds-barred account that is certainly not for the faint hearted. Travel the world in a whole new way with Tony Giles’ frank, honest and exhilarating romp through one adrenaline-fuelled experience after another. Read a customer review here. A second edition of the ebook was published in December 2016. It is available from all major ebook stores, including Amazon.co.uk, Apple iTunes and Google Play. Now out of print. First published by SilverWood Originals in November 2010. 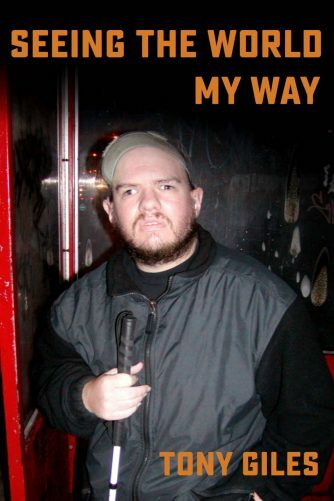 Available since 2011 in braille from the RNIB Library. Also available to loan or buy in audio Daisy format. 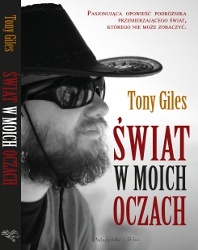 Seeing The World My Way was published in Polish in 2012. More information can be found on the publisher’s website: Prószyński Media.